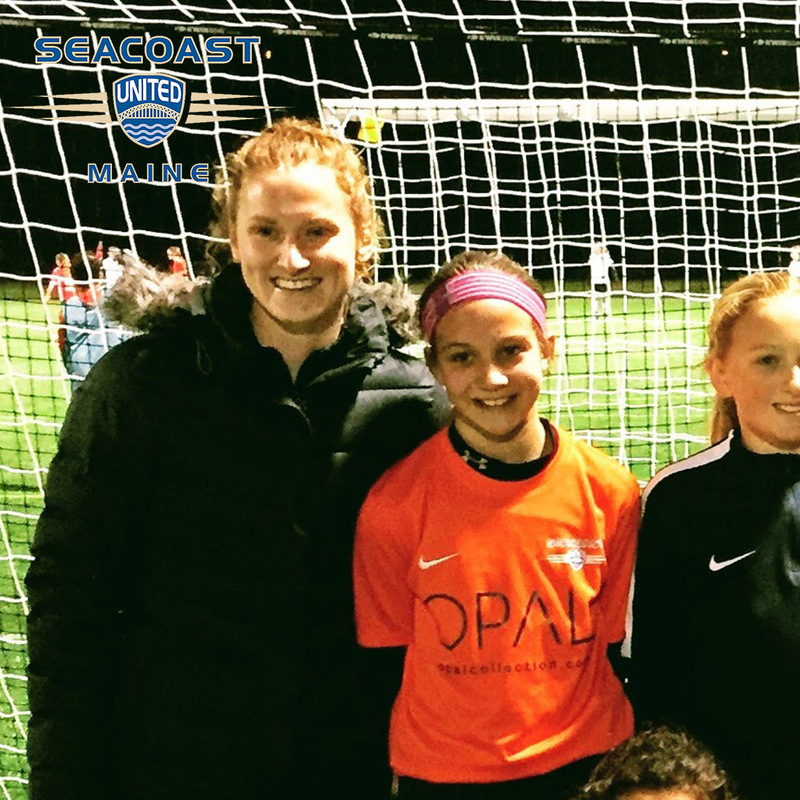 In this week’s “Get to Know” article, we will be learning more about Seacoast United Maine South staff member, Amanda Hamilton. 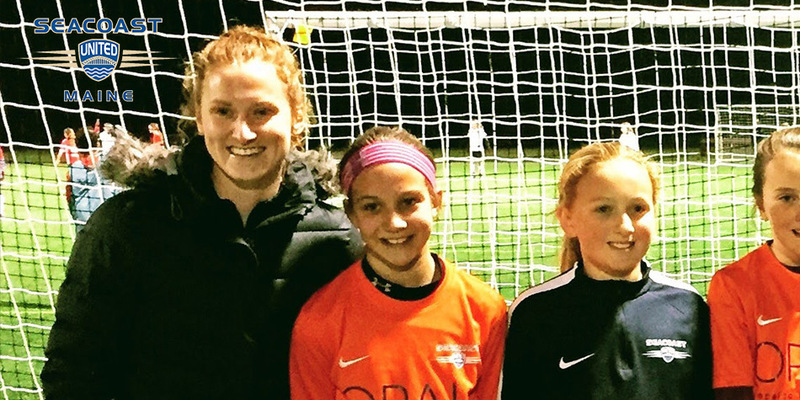 Amanda will be coaching the clubs 03 Premier White team for the 2018/19 season. I was born in Upstate NY and grew up adventuring in the Adirondack Mountains. I have three siblings and am a proud aunt of two beautiful nieces and a newborn nephew. 9/10 I am listening to music and 10/10 I am singing the last song I heard. Oh, and the soccer world knows me best as "Hammy. I played town travel soccer for 6 years before I began my club career at 11 years old. The first club I played for was Soccer United Premier, and moved on to Plattsburgh Football Club when I turned 15. I played four years of DIII soccer as a Saint at St. Lawrence University, and enjoy heading back down to Canton, NY each spring for the alumni game. My first experience coaching was as a camp counselor when I was 16 and after that I filled my summers with different camp opportunities. I spent the summer of my junior and senior years at SLU in Canton coaching on the girls side for a local club called FC Freeze and came straight to Bates shortly after graduation! I think a part of me always knew that I would be working in athletics, but I hadn't always envisioned it as a coach. I had been looking for an opportunity to get involved with Maine soccer outside of Bates and had heard good things about Seacoast from several people. When I spoke with Jim Wade about the organization, it was clear that Seacoast was truly dedicated and passionate about the development of young players. This made it easy to jump on board. This past spring/summer, the '07 girls group I worked with had a tough start to the season on the scoreboard, but they were determined to progress as individuals and a team. By the time the Coastal Challenge came around, the girls were cruising and they went 3-1 on the day. Nothing was more rewarding than seeing this group grow together and end the season on a high note! I was and always will be a huge fan of Abby Wambach. Though she wasn't the most technical player during her career, she knew her role and got the job done on the pitch. I was always in awe of her resilience throughout adversity and passion for her team and those who supported her. More than anything, I am inspired by her upfront nature and honesty about her struggles and weaknesses along her journey as a top performing athlete. She changed the face of what it meant to be seen as a respected, professional athlete and not just a 'female' athlete.